"Unicorn Rides" my newest creation for my affordable Paradise Portraiture line. Your Princess can ride a Unicorn above the moonlit mist. Why pay $5,000-$20,000 for an original oil or Acrylic portrait painting when Paradise Portraits are only $375-$700. You will be able to order copies for friends and family starting at $125, a gift that gives for generations. Paradise Portraits are printed on the highest quality Giclee canvas. “Unicorn Rides” Your Princess can ride a Unicorn above the moonlit mist. 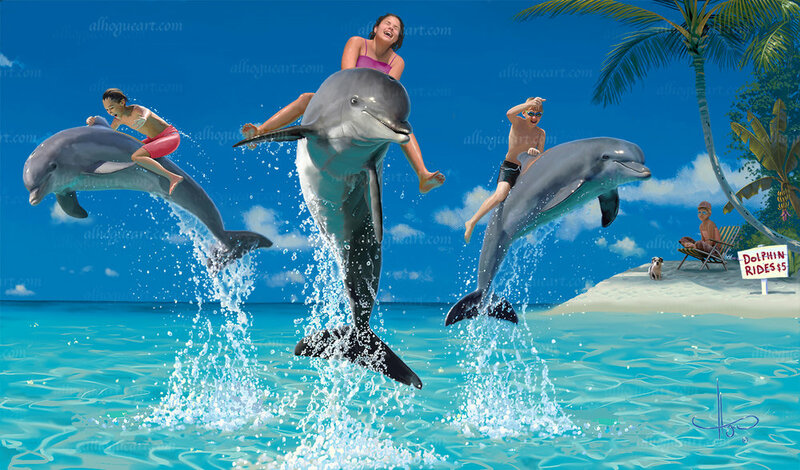 Would your kids or Grandkids like a “Dolphin Ride”?